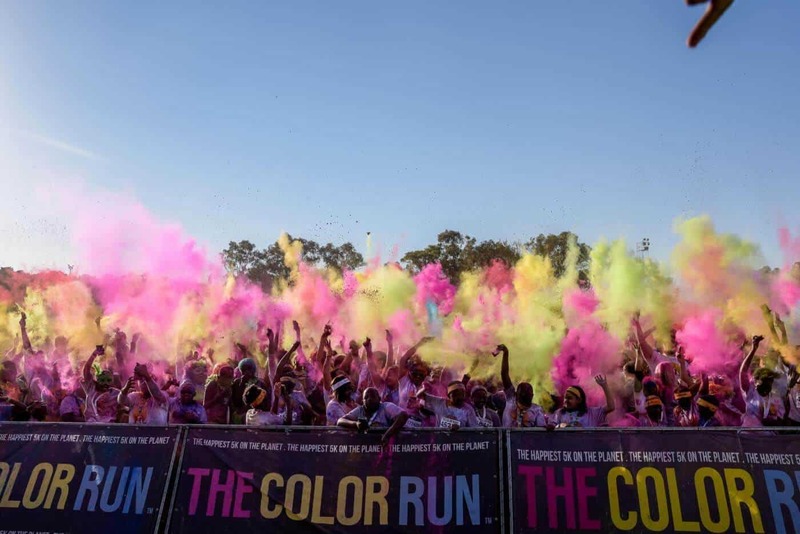 The Happiest 5K on the Planet was in Pretoria town, at the Rugby Club, on 21 July 2018 under the theme, Carnival Tour. 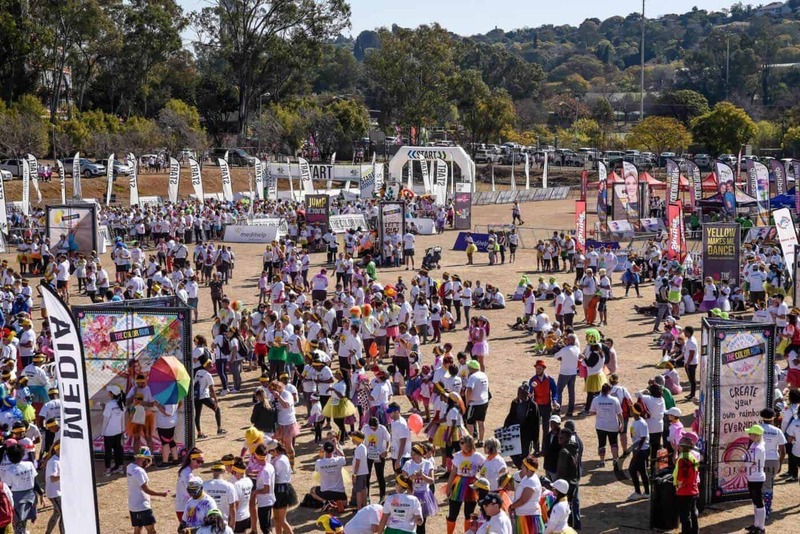 Color Run South Africa had earlier promised to roll out the grandest parade yet, and true to its word, the Carnival Tour Pretoria, brought with it stilt walkers, balloon shapers, music, good-natured clowning around, and colour, colour, colour. 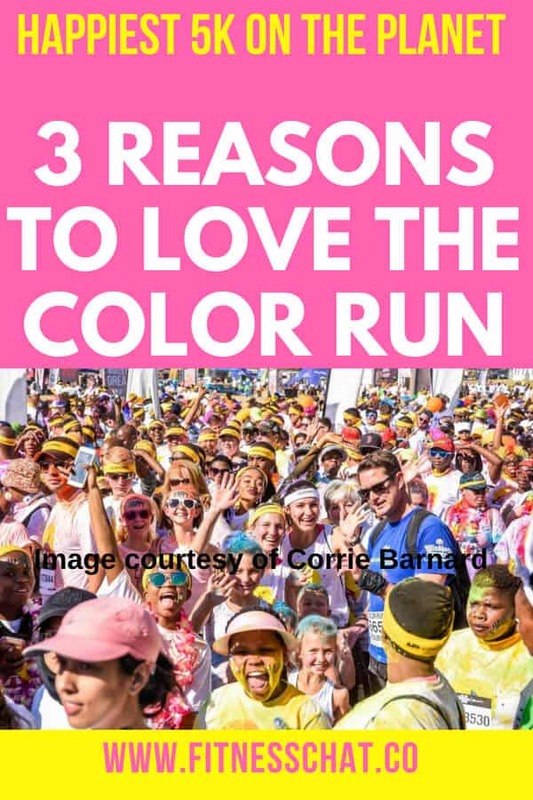 If you have never participated in The Happiest 5K on the Planet yet, then you should definitely check out these 3 reasons to love the Color Run. 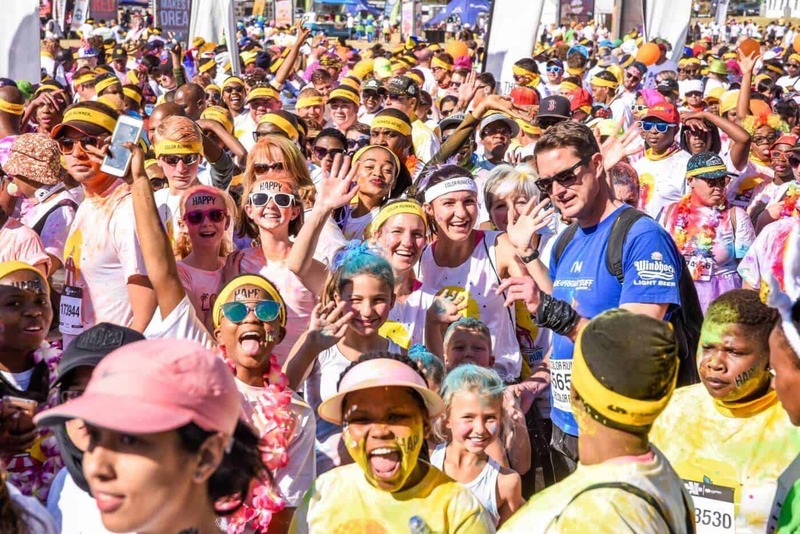 Yes, that’s right, The Color Run encourages runners young and old to step into their favourite eccentric outfit and walk, crawl or run in the un-timed 5K event. 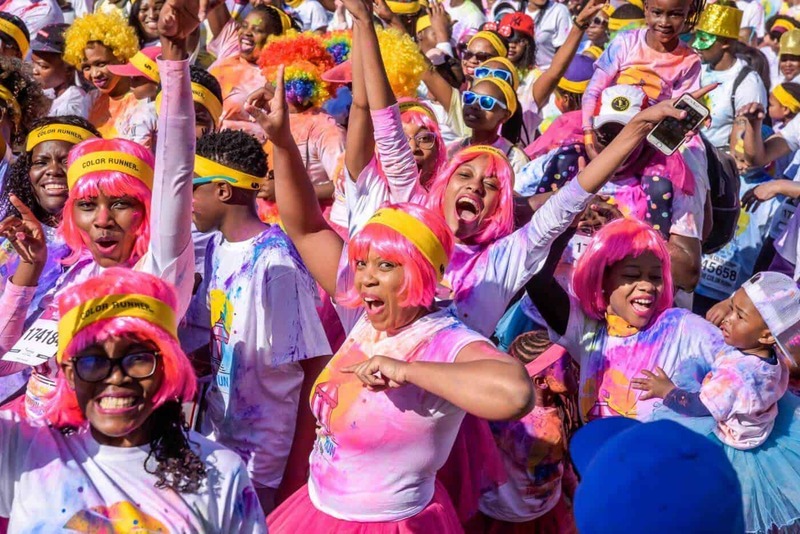 All that the Color Run asks of “Color Runners” is that they are fully prepared to be doused from head to toe in different colours at each kilometer so that by the time they finish the course, they are plastered in bright and happy colours. Each year, The Color Run comes up with an exciting and fun-filled theme. In 2017 for instance, the theme was called Superhero Tour and ‘runners’ had to unleash their superhero by donning spandex, capes and masks! This year, the theme is Carnival Tour, meaning, you don’t have to head to New Orleans or Rio de Janeiro to live your life in bold colour and revel in health, happiness, and community in an atmosphere of pure celebration. Dubbed “The Happiest 5K on the Planet”, The Color Run is less about your the typical 5K run, and more about having the time of your life. Participants begin the race in their white The Color Run T-shirts and complete it covered in colour. The Color Run has now been experienced by over six million runners, in more than 35 countries around the world, since it was founded in 2011.